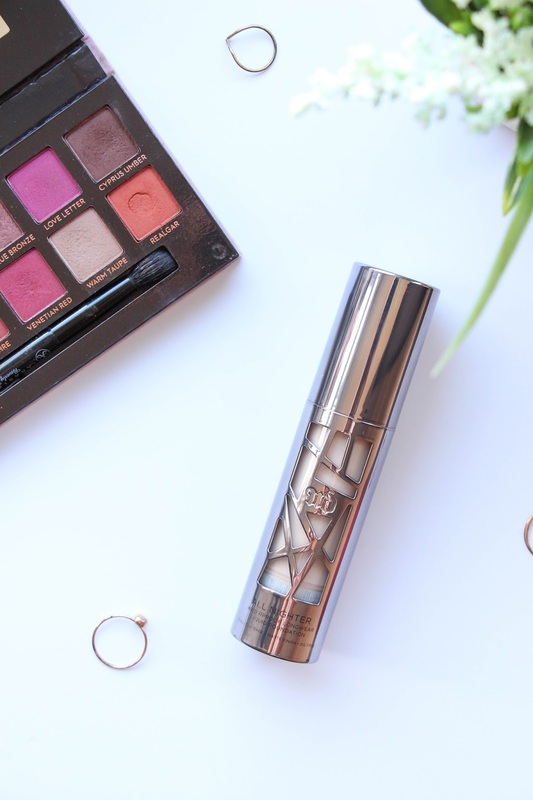 Urban Decay All Nighter Foundation // Worth the Hype? Foundation is without any question my favourite makeup item to purchase. A perfect base is the secret to a great makeup look so recently I chose to spend a little extra on a foundation – something that I never used to do. With everyone raving about the Urban Decay All Nighter Foundation, it was impossible to ignore this new release and my curiosity was bigger than my will to save money and whilst in Debenhams, after my boyfriend left me on my own, I went to the Urban Decay makeup counter and spoke with the lovely lady that helped me to find my shade. This foundation was released a couple of months ago with 24 shades. Yellow, pink and neutral undertones, there is a shade for everyone out there. The fact that this foundation oxidizes one to two shades darker after application can put a lot of people off, specially if buying online but if you have a local store nearby, it is worth going there to find out your shade. If not, you can always try www.findation.com and go one shade lighter than they advise – according to my results, I would be a 3.0 / 3.25 when in reality I’m a 2.0 so I guess you couldn’t go wrong with that. With this being my first time using a more high end foundation but that still is in my opinion very affordable, retailing for £27, I was with very high expectations and I sure wasn’t disappointed. This foundation has amazing coverage so if a natural looking skin is what you like, maybe this isn’t for you or you can always use a minimal amount and the foundation will last you for ages. I do love a full coverage face, no matter what I am doing and so I was already expecting to love this foundation. The packaging is simply beautiful, edgy, luxurious and very elegant with the gunmetal, asymmetric effect. 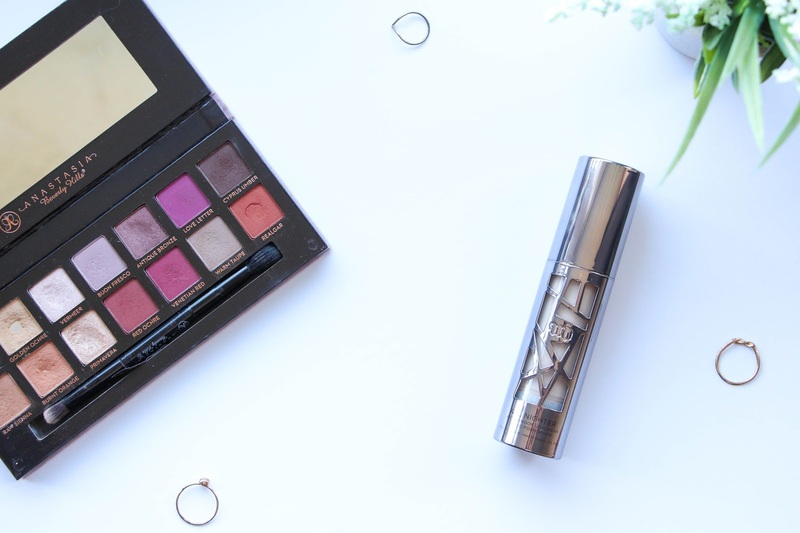 Urban Decay never goes wrong with that. This also has an airless pump, being very easy to get out every last bit of product – I love this little detail and wished that every foundation was like this. For my first application, I used a buffing brush and I can tell you that I didn’t like it at all. It looked all a bit too much, cakey and streaky although it was very easy to apply. I wasn’t convinced and was almost regretting buying this foundation. After giving it another shot using a Real Techniques Miracle Complexion Sponge, my opinion completely changed. Being a full coverage foundation, with three times more pigment than the Urban Decay Naked Skin Foundation, the All Nighter Foundation is not to thick at all and so it is very easy to blend into your skin. Doing it with a Beauty Blender / Real Techniques Miracle Complexion Sponge made the foundation look much more beautiful, giving an airbrush finish. Also, it still looked natural and not cakey at all as the beauty sponge absorbs the excess product and the coverage was still there! With a completely oil free foundation, applying it to dry skin can be a bit of a struggle. Your skin will look very dry and sort of dehydrated, aging you slightly. I felt that when I didn’t prime my face according to it’s needs. So, basically, if you do have dry skin, make sure you moisturize at least 30 minutes prior to applying the foundation and also prime it with a very hydrating/glowy primer. I have tried it with the L’óreal Paris Lumi Magique Primer and it worked really good. I want o try the Kat Von D Lock It Primer as I have read that it is great as an hydrating primer for a matte foundation – do you agree? The finish is matte but it honestly does not remove all the shine for your skin. Somehow, it leaves you with a very natural, healthy glow that I do love. Yet, it does not look greasy at all so this is great if you have oily skin. After the foundation set, I did not feel the need to apply any powder. It did not feel tacky or whatsoever and all the powder products (bronzer, blush, highlighter) blended beautiful and easily into my skin. It does not sit into my fine lines and that is definitely a plus as it s the first time that I found a foundation that does not doe that. So much that I want to try the Urban Decay Naked Skin Weightless Concealer as I know many people love it for not creasing and I definitely want to check if that is true. The longevity of this foundation is to die for. I tried it during one of my long days in the hospital (ruffly a 14h shift) and it still looked great. The only place it had moved was on my chin because that is the area of my face that I do touch quite a lot throughout the day but overall, it looked pretty darn good. This review is getting way too long but I did have a lot to say about it. Overall, I do love this foundation and I think it will be something I will repurchase. I do not use it in a daily basis as I now go for a more natural, makeup free kind of look when going to work (I prefer to sleep 20 more minutes than doing a full face of makeup) but it is the one I reach for in any other day. Absolutely in love with it. Let me know your thoughts on this foundation! Next Post LVL Lash Lift // Yes or No?